Wine & Unwind Summer Mixer! And if you sign up today, receive an additional one year membership added to your package! No code required. Sign up today to receive all the benefits including FREE monthly webinars listed below. Offer Expires soon!. Terry will share information you NEED to know regarding how hiring decisions are made. 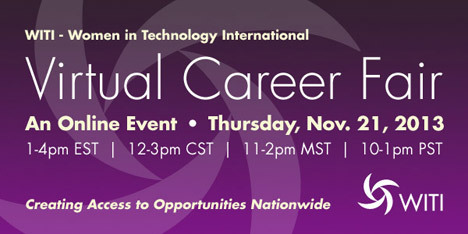 He will also share secrets to give you a competitive edge when seeking your next career opportunity. The workplace is a highly politicized environment where key decisions about who gets ahead, who gets the plum assignments, and who gets the scarce resources are not just decided on merit. Marisa will explore several emerging consumer trends and discuss the new technologies that offer companies the opportunity to better meet their customer's needs. Gartner Catalyst Conference is the must-attend event of the year for technical professionals tasked with developing and executing on a strategy to leverage mobile, cloud, and big data to drive operational effectiveness and competitive advantage. Come to SPTechCon for technical classes and tutorials for Microsoft SharePoint 2010 and SharePoint 2013 administrators, IT professionals, business users and developers. Come register to join us at our Annual Career Expos to meet with Fortune 500 Companies and Government agencies looking to recruit new talent. We would like to remind you that you must pre-register in order to attend the event. This event is FREE to attend.